This was my first purchase from this brand. I actually bought it from a blog sale. 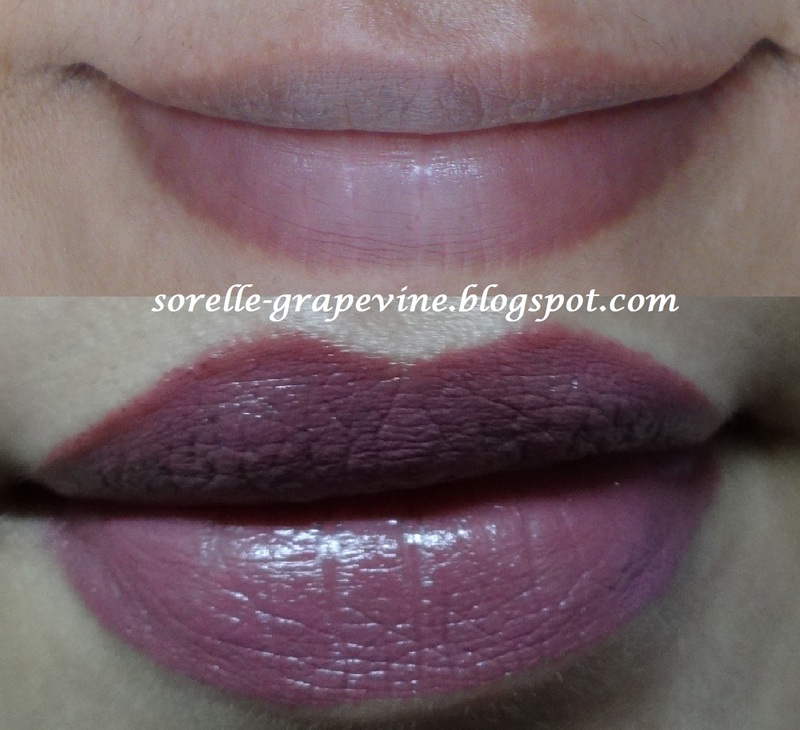 The swatch of it looked like a really pretty wine shade. But when I applied it it was no where close to it :(….LOL…Story of my life ;). Moving on, I would describe this shade as pinky purple (mauve). It comes in the signature black tubing which I personally felt was on the filmsy cheap feeling side. The lipstick has a strange smell which I can best describe as ‘soapy’. I love the texture and the pigmentation it provides but the taste was a little weird (read soapy :D). Price is Rs. 395/- (buying it online you can get it for as cheap as 150/-). All in all, I personally did not like the shade on me as I felt it was too dark and has a bluish tinge (Dimps said that it made me look old :o). But yes given the texture and pigmentation I would like to try out other shades from the brand. NYX is available in India at Health and Glow but my advice would be to buy it online as you will get more choices and for a lesser price. Try out porkdaisy.com. The exact shade is not being picked up by the camera. The color is more bluish. Would you recommend it to your friend? – The shade – No. The brand – Yes. Why MUA Lip Bloom (Cheeky) is the ultimate disco ball!